Is a Woman Less of a Woman If She Decides Never to Have Kids? Is a woman any less of a woman if she never has kids? It may sound like a silly question to some, but for longtime friends and journalists Pam Oliver and Sonja Lewis, it’s one they spent many years trying to answer. Oliver, a popular on-air broadcaster for Fox Sports, and Lewis, a former newspaper reporter and the author of the new aptly-titled novelÂ The Barrenness, say they each did some serious soul-searching before deciding NOT to give birth—even though, in many ways, the decision had already been made for them. Oliver says this was largely because she was satisfied with nearly every other aspect of her life, including a high-profile career, constant traveling and tight bonds with friends and family. She, like Lewis, who is also a stepmom, opted not to undergo painful surgeries or empty their bank accounts on expensive fertility treatments. Instead, they each embraced that eternal empty-nest syndrome. It’s a decision neither woman regrets, even with the various societal pressures and stigmas that stem from being childless by a certain age. Still, Oliver does admit innocent questions can sometimes still make her feel like a bit of a failure, despite the reality that one in every five women beyond childbearing age in the United States do not have kids, according to the Pew Institute. 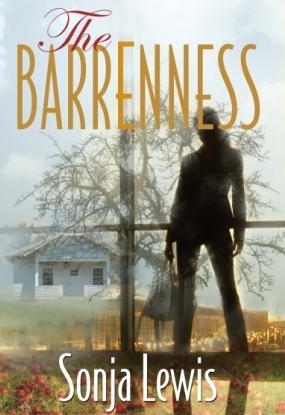 Although her book The Barranness is fiction,Â Lewis says she wants readers, particularly women, to know the message is true: You are no less of a woman if you don’t procreate.